What type of appearance will the Bud make for you? Will it pop in to say a quick hello to someone you miss, or will it kick off a legendary birthday party? If there's something major happening in your world and you can't make a personal appearance, this is the perfect way to show up in spirit. 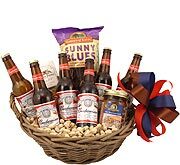 This beer gift basket includes all the ingredients needed for a festival, from the gourmet snacks to some of the best brew available today. 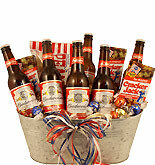 If you have a gift message to send, send it with a Bud. 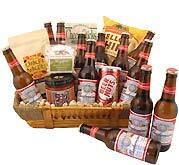 The basket I purchased was sent as a gift. The birthday person loves the basket and it was very nice.